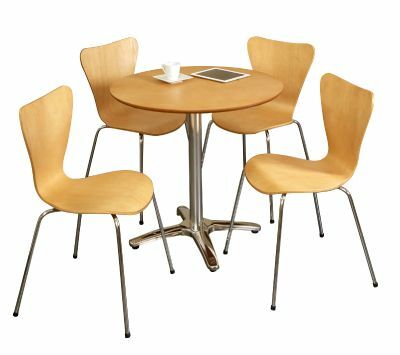 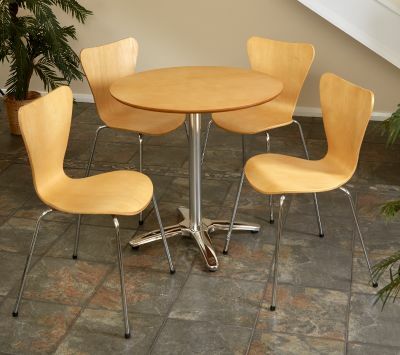 Set of four "Keeler" style chairs and a circular table with a stylish four leg Aluminium base. Choose from Natural or Wenge finishes. Available from stock for a 2 -3-day delivery. Designed for indoor commercial use. 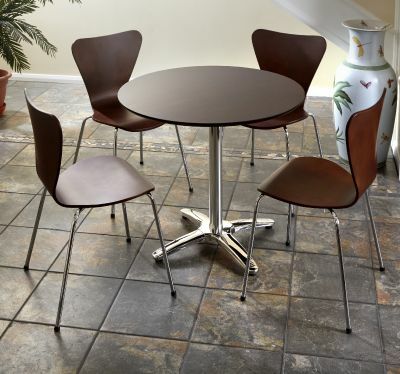 Tops are Maple veneer with a PU lacquer. Please do not clean with antibacterial sprays or strong detergents.